DARTS’ speaker – Alkis Doucakis – will present us with the story of the discovery and decipherment of Europe’s first written language: Linear B, a syllabic script used for writing Mycenaean Greek, the earliest attested form of Greek. 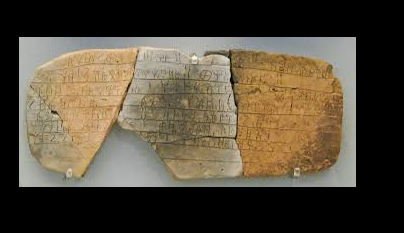 In 1900 a famous archaeologist – Sir Arthur Evans- came to Crete in search of “Milk Stones”, the 3 300 year-old clay tablets with writing in a then unknown language. Many years later, in 1952, the writing was deciphered by an architect, Michael Ventris. This accomplishment is considered ‘ the greatest intellectual achievement in archaeological decipherment ever’. Alkis is absorbed with local and regional historical research and has published articles in a number of accredited scholarly journals. He has also published books on the history of Johannesburg’s Doornfontein area and the early influence of Hellenic education in Johannesburg.